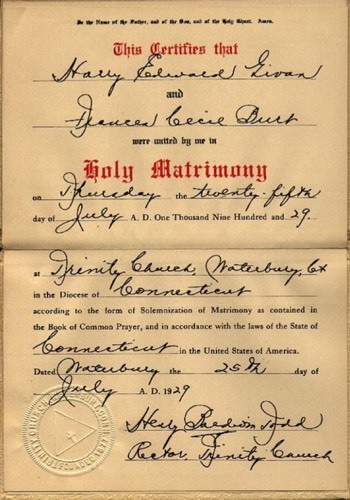 Givan and Burt Marriage Cert. The “Inkbottle” school Harry and Francie attended together as children in Shediac Cape. 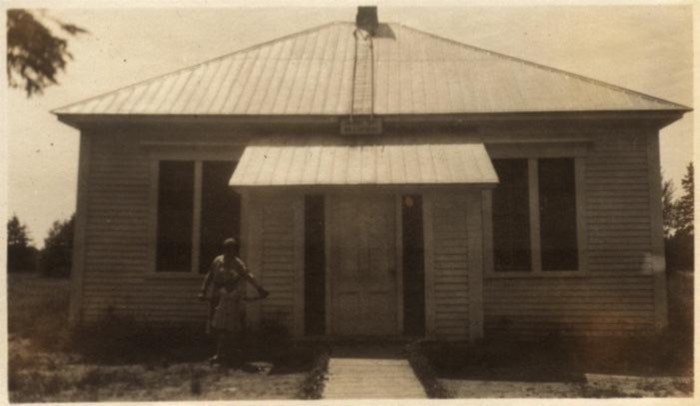 This was the one-room Madras School (supported by the Madras school system, a Church of England missionary institution) and has since been demolished. 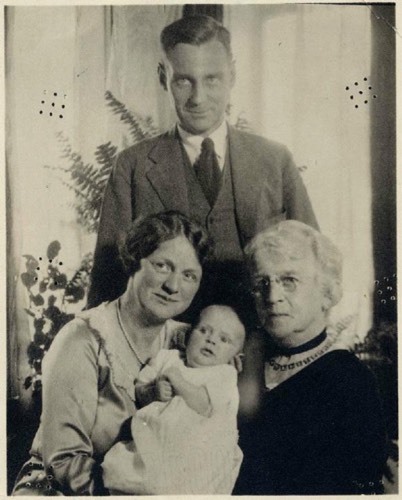 This picture taken by Harry in 1937 with Francie and daughter Kathleen standing in front. 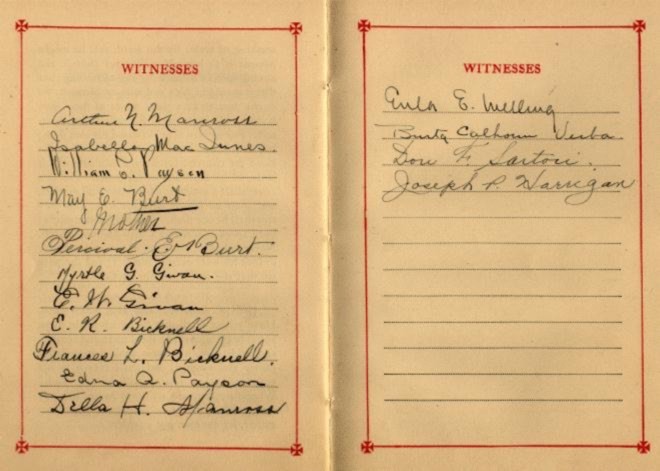 Signatures of Wedding guests including various relatives and friends.